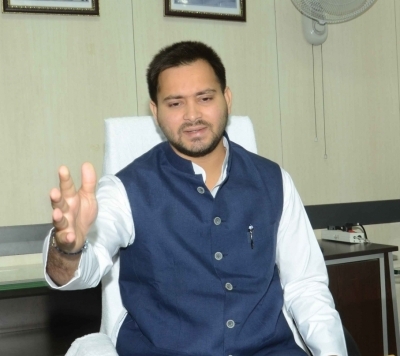 Patna Sep 15 (IANS) Opposition leader Tejashwi Yadav on Saturday questioned Bihar Chief Minister Nitish Kumar on his silence over the scams in the state. "U-turn Specialist Nitish Kumar is silent on Srijan Scam Toilet Scam Paddy Scam Scholarship Scam Dam Scam MGNREGA Scam Uterus Scam Medicine Scam Recruitment Scam BPSC Scam and 36 other Scams " Yadav tweeted. It was his father and RJD chief Lalu Prasad who had called Nitish Kumar the "Paltu Ram of politics" for breaking the Grand Alliance and forming a new government with the BJP last year. "Nitish Kumar is the Paltu Ram of politics. He has again proved that he can do anything for power. He has neither principles nor ideology but only greed for power " Lalu Prasad had said.